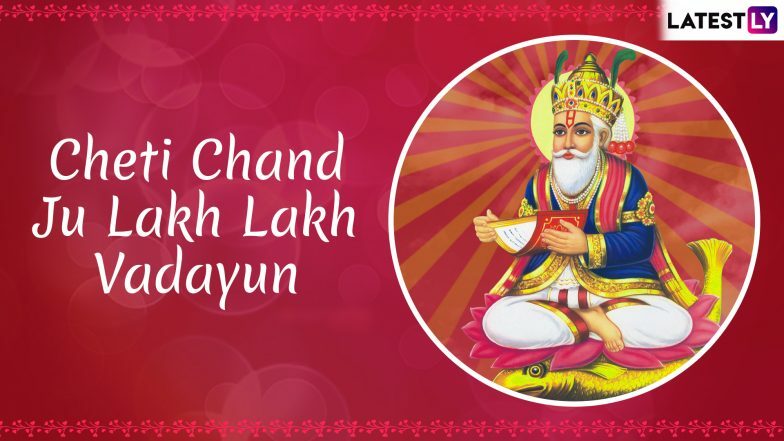 Cheti Chand 2019 is being celebrated on April 7. The Sindhi community all over the world celebrates the Sindhi New Year also known as Jhulelal Jayanti with great fervour. From taking out processions to cooking delicious Sindhi food and wearing traditional attire, Sindhis celebrate Cheti Chand with great enthusiasm every year. 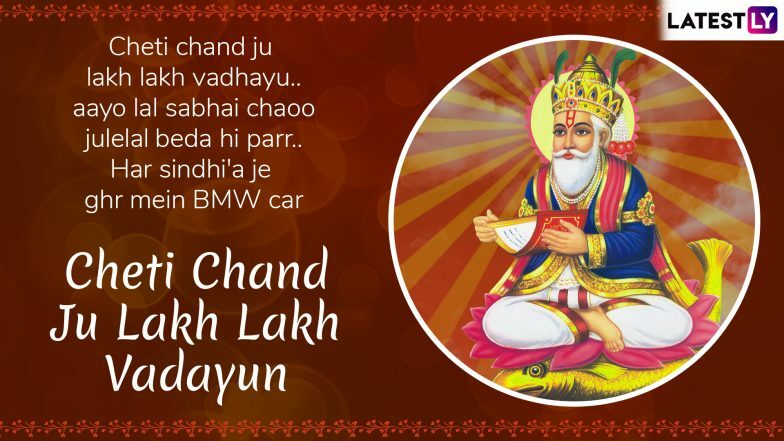 People of the Sindhi community send 'Jhulelal bless you' messages to each other and greet each other 'Cheti Chand Ju Lakh Lakh Vadhaiyun' (Lakhs of wishes for Cheti Chand). LatestLY gets you Cheti Chand greetings, photo wishes, WhatsApp messages and stickers to share with your loved ones this Jhulelal Jayanti. Cheti Chand 2019 Recipes: From Sindhi Tahiri to Singhar Ji Mithai, Try Out these Traditional Sindhi Delicacies to Celebrate the New Year. The festival of Cheti Chand or Jhulelal Jayanti is celebrated on the day of the new moon. It falls on the day after other festivals like Ugadi and Gudi Padwa. The day marks the arrival of spring. On the occasion of Cheti Chand, a procession of Jhulelal is taken out by Sindhis in different corners of the word, especially in the Sindh province of Pakistan. The Sindhi community also worships the water as Jhulelal is also considered an avatar of the God of Water (Varun). 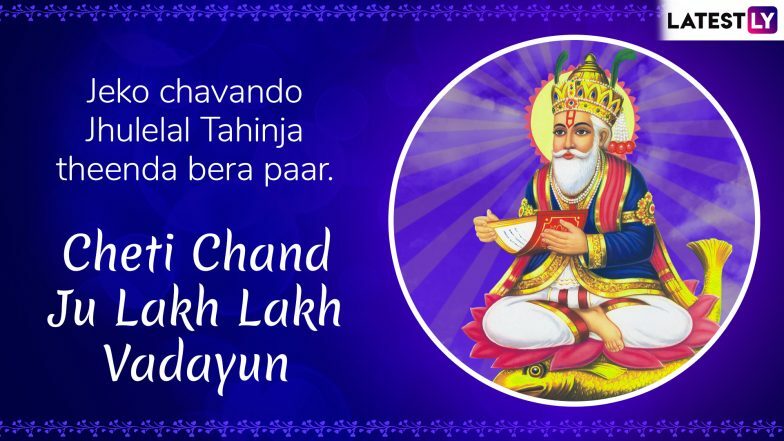 Cheti Chand 2019: Know Puja Vidhi And Muhurat Of Jhulelal Jayanti And Sindhi New Year Celebration. Sab hi chao jhulelal, hass kar jiyo mere laal. Cheti Chand ju lakh lakh vadayun. Jeko chavando Jhulelal, tahinja theenda bera paar. Cheti Chand ju lakh lakh vadayun. Jeko chavando Jhulelal, sada hi rahando mala maal. Cheti Chand ju lakh lakh vadayun. Jeko chavando Jhulelal, kadhin na theendo woh kangaal. Cheti Chand ju lakh lakh vadayun. Jeko chavando Jhulelal, kadhin na theendo bhagwan kha dhaar. Cheti Chand ju lakh lakh vadayun. Jeko chavando Jhulelal, udhari na indo dhar te yaar. Cheti Chand ju lakh lakh vadayun. Chetichand ju lakh lakh vadhayu, aayo lal sabhai chaoo julelal, beda hi parr. Har Sindhi'a je ghar mein BMW car. Sindhis enjoy delicacies like singhar ji mithai, koki, sindhi curry and rice, dal pakwaan and much more on the occasion of Cheti Chand. This year, according to the Drik Panchang, the Dwitiya tithi for Cheti Chand will begin on April 6 and 15:23 Hours (3:23 pm). The Dwitiya tithi will end on April 7 at 16:01 Hours (4:01 pm). Here's wishing you and your loved ones a very Happy Cheti Chand 2019 from LatestLY.